Owing to the growing number of whisky drinkers in Gauteng, the FNB Whisky Live Festival organisers announced that an exciting new venue will be added to the Gauteng segment of the festival the iconic township, Soweto. Soweto has long had a strong historical association with whisky – “a drink reserved for the wealthy” – from the jiving 1950s when the era of Miriam Makeba and Hugh Masekela sent blues and jazz down the streets of Sophiatown, to the current optimism of young trend-setters in the aspiring middle-class who can be found enjoying whisky at their favourite “chill out” spots over the weekend. The inaugural Whisky Live Festival in Soweto will take place at the University of Johannesburg Soweto Campus. Capturing the intrinsic values of Sowetan culture, the FNB Whisky Live Festival will be transformed into a new-look whisky lifestyle “village”, offering elements of jazz, fashion, Shisa Nyama outlets and true Sowetan hospitality. Local restaurants, such as Back Room, NexDor and Wandie’s Pub, host whisky lounges – access to these VIP lounges will be the ultimate “badge” statement and certainly the place to be seen savouring whisky. NexDor co-owner Thabang Makwetla talks about his business and partnership with Whisky Live. How would you describe your restaurant to someone who knows nothing about NexDor? 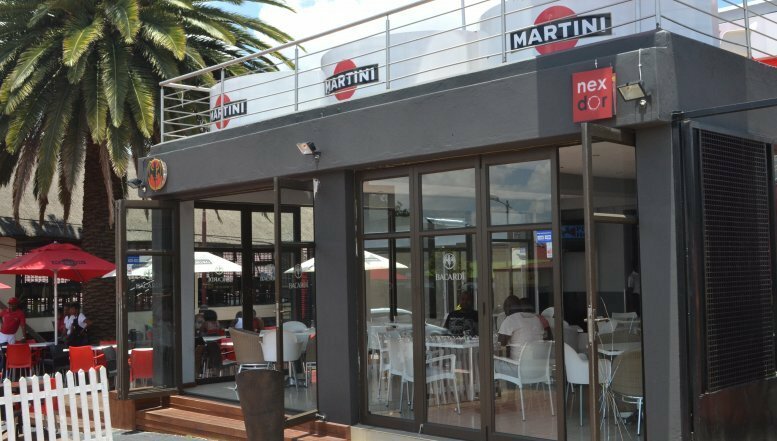 NexDor restaurant, situated in Vilakazi Street Soweto, caters for a clientele that demand class, style, and high levels of service and product offerings. NexDor continues to evolve and re-invent itself while maintaining these elements that promise to make it feel new, modern, and welcoming. We promise to make it a destination of choice for the discerning customer who is looking for a relaxed destination with high quality, good value-for-money food and drinks offering. What made you decide to open this establishment? The name NexDor comes from the fusion of two words ‘next’ and ‘door’ and is written in this fashion to reflect colloquially a local and/or nearby destination in ‘kasi’ speak. 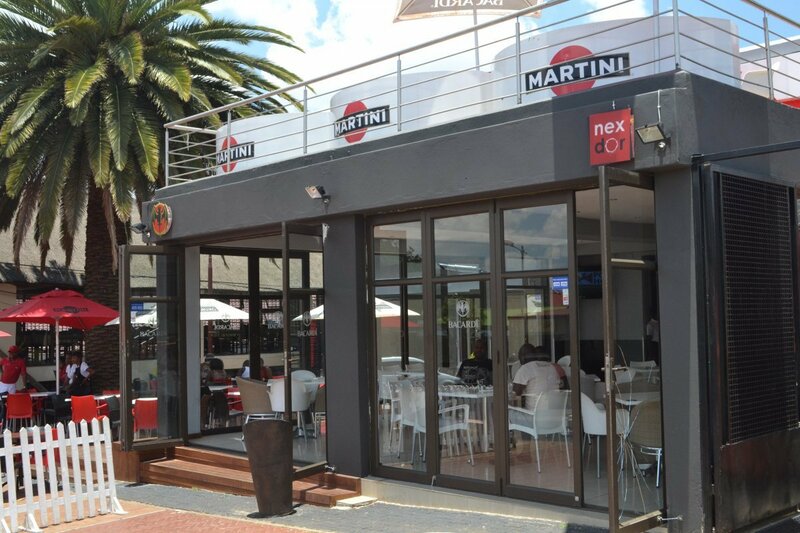 NexDor Restaurant is the brainchild of kasi (Soweto) born entrepreneurs, all with retail and hospitality industry experience. Our intention was to present a concept for an Afro Urban restaurant that would appeal to the greater populous. What were you doing before you opened NexDor and how did the three of you come to be in partnership? We all come from the retail and hospitality industries, working for other people. The decision to come together as partners was driven by the need to become self-employed while creating opportunities within communities in which we grew up. We, as partners and child hood friends, have combined our business experience and knowledge of the hospitality and retail industry with the strategic intent of providing culinary and convivial value proposition to the Sowetan urban market. We envisage setting up a number of owned and self-managed establishments with the sole purpose of canvassing a wider market and thereby offering an extended service and product offering. We already have two restaurants in Soweto these being NexDor, and Thirteen 54 Restaurant and Grill situated in Dube, Soweto. Tell us something nobody knows about you and your partners. I am secretly passionate about cattle farming and dream of owning and living on a cattle farm. I also own German shepherd dogs, my favourite breed since childhood. At the moment I am raising my fourth German shepherd. Thabo is a motor racing fan and dreams of taking a year off to follow the Formula 1 circus around the world. He would like to retire to a small classic car restoration business on the South Coast. Collin is good at football and had dreams to become a professional football player until the medical profession beckoned. Tell us something nobody knows about your restaurant? We hosted Samuel L. Jackson some time ago. People don’t also know that we have boardroom facilities at NexDor. What made you partner with the FNB Whisky Live Festival and Soweto Whisky Academy? NexDor is popular with whisky drinkers who are extremely knowledgeable and fussy about whiskies. Through our partnership with the FNB Whisky Live Festival and Soweto Whisky Academy, we hope to attract more whisky drinkers looking for a trendy establishment that speaks to their sophisticated taste. My personal favourite is the T-bone steak. What does the future hold for you personally and for NexDor? We are passionate about establishing a portfolio of hospitality/lifestyle offerings in and around Soweto. We are looking to expand on the two restaurants we already own by either buying into existing establishments or opening up new ones. We have set ourselves a target of five restaurants in and around Soweto. What do you love the most about your restaurant? We love the look on people’s faces when they first walk into NexDor. People don’t expect to find a restaurant that caters for a cosmopolitan clientele in Soweto. To see the same people leave NexDor with a satisfied look on their face is the most rewarding part of our work.